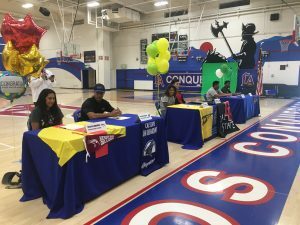 On Wednesday, six student-athletes signed their National Letter of Intent and committed to continuing their academic and athletic careers next year. 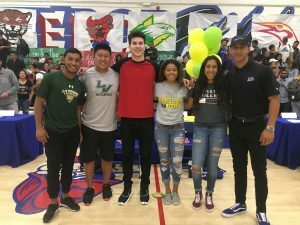 The six student-athletes that signed their letters represent six different sports on campus and also represent what it truly means to be a Conqueror. 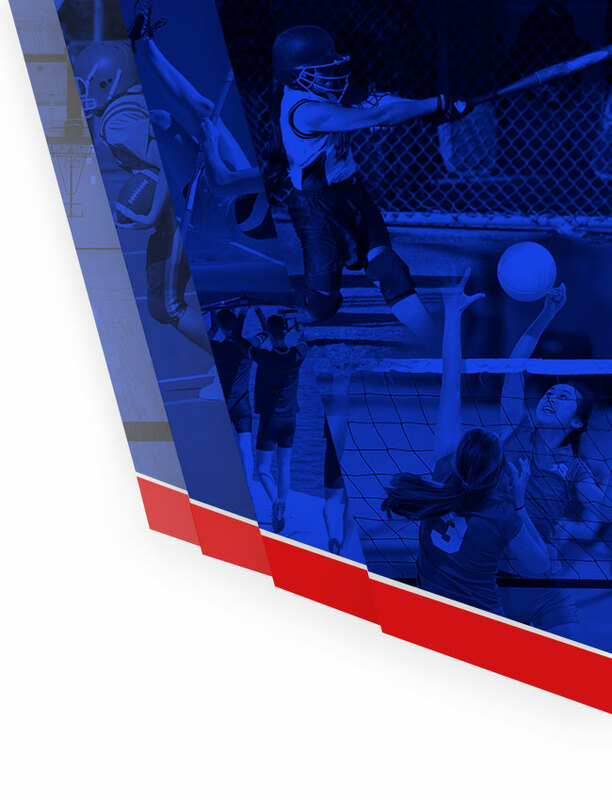 Esteban Castro is a two-sport athlete at Los Altos, excelling at both Football and Baseball. He will be attending the University of La Verne next year to play Football. His road to this opportunity is an interesting one as he decided early in his career at Los Altos to focus on Baseball and didn’t play football. In the fall of his junior year, Esteban rededicated himself to football and was a contributor on the 2016 League Championship and CIF Finalist team. Last season Esteban excelled on both sides of the ball and earned himself an opportunity at La Verne. Esteban carries a GPA of over 3.5 and has been recognized as a 2-time member of the All-Academic Team for football and last season for Baseball. Jason Soo Hoo will also be attending the University of La Verne to play Water Polo. Jason is one the leaders on the boys water polo team and this past season earned 2nd Team All-League Honors. In addition to his success in the pool, Jason excels in the classroom and earned a spot on the All-Academic Team the past 2 seasons. He has decided to stay close to home and continue his career at La Verne. 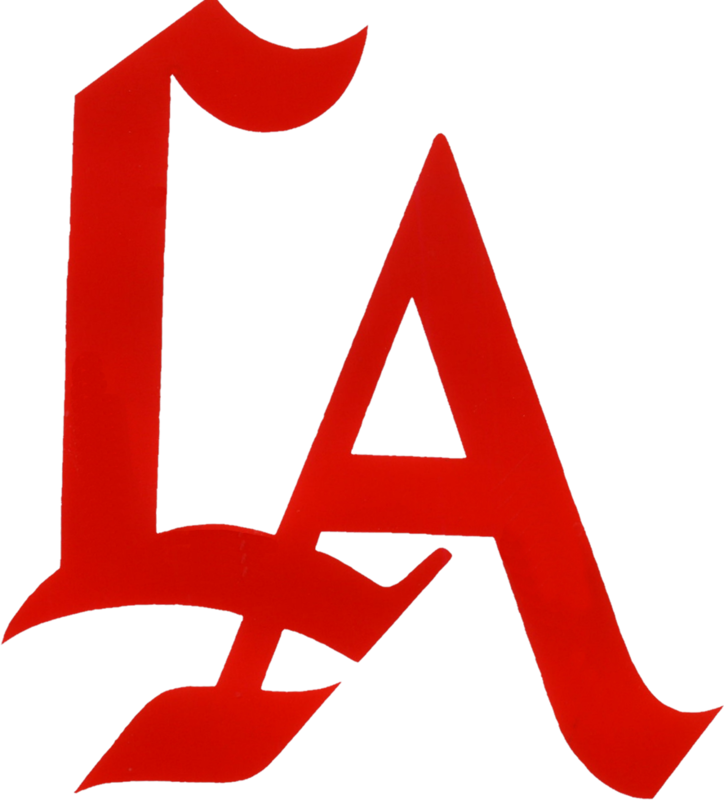 Julian Lopez is a 3-time All-League, 2-time All-Area and 2-time All-CIF basketball player that has chosen to continue his career at California State University, East Bay. Julian has been an core member of teams that have won 90 games in his 4-year career including the past 3 league championship squads that have earned the basketball program so much notoriety. Julian is a versatile guard who in many situations stepped up to defend the opposing teams big man and still managed to be an offensive force. Julian leaves Los Altos with his name among the tops all-time in many categories including 8th in points, 5th in 3-pointers made, 14th in rebounds and 12th in assists. Melissa Chadwick is a 4-year track athlete that has excelled in her sport. 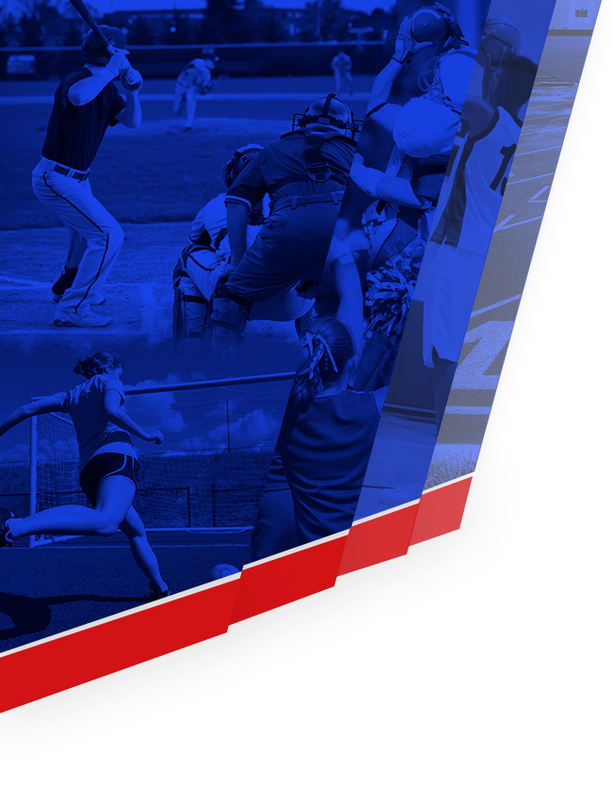 In a sport where many students choose to run track as a secondary sport, Melissa has dedicated herself to her craft, the coaching staff and the program at Los Altos. She is a model student involved in many organizations on campus is a true representative of the Conqueror Spirit. Melissa will be attending Concordia University, Irvine to run track next year. Anyssa Aguilar has decided to continue her softball career at Hesston College in Kansas. Anyssa is a speedy outfielder that is a key contributor on one of the best softball teams in California. Anyssa’s good speed and defensive abilities allow her to make plays in the field that keep runs off the board. Hesston College is located in Hesston, Kansas 35 miles north of Wichita. Christain Vargas has decided to attend California State University, San Bernardino to continue his baseball career. Christian is a 3-year letterman that has truly blossomed in his senior year. Christian’s work ethic on the field and in the weight room has paid off as he has been a key contributor on this year’s squad. He has shown that he has the work ethic necessary to continue growing and improving at the next level. Congratulations to all of our signees!